From HVL main gate, R on Hidden Valley Dr to prop on R. (2nd house) Sign on. Features vltd ceilings & walls of glass open to valley views! Custom built ranch specifically designed to maximize the views from the main living areas. Spacious rooms, kit. w/island is open to screen porch. Luxury MSTR w/door to porch, walk-in closet & MegaBA. 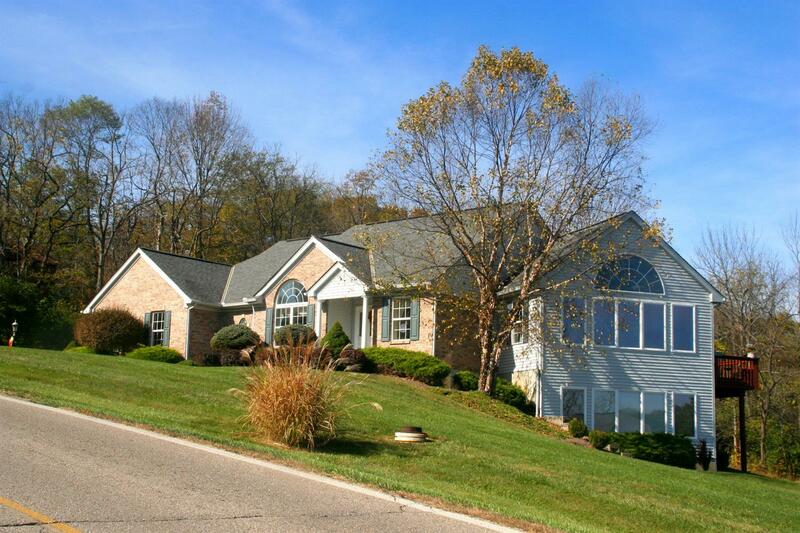 Formal DR, main flr laundry, LL w/kitchen bar, FR, Guest suite, 2 addtl BR's & Full BA.